Ametis JSC manufactures and markets Dihydroquercetin extract for nutritional, food, cosmetic industries, as well as for animal husbandry. 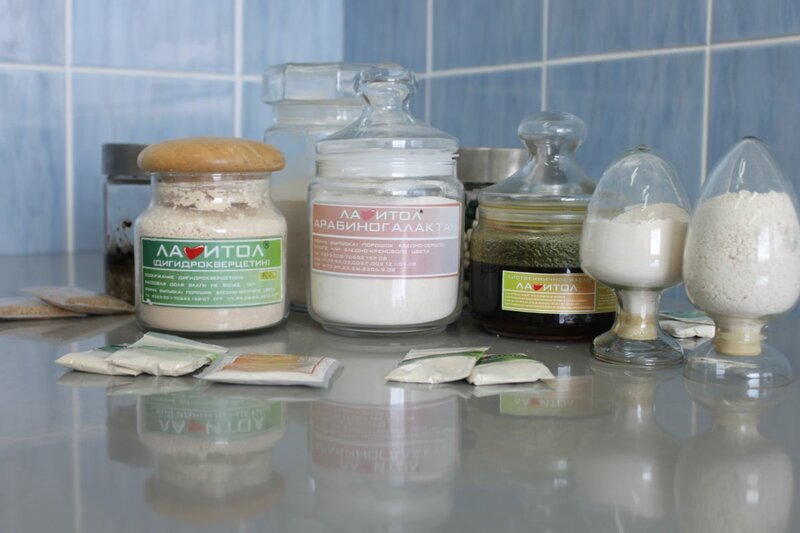 The main activity of the company concentrates on the production of dihydroquercetin and arabinogalactan under the trade mark “Lavitol”. Technical arabinogalactan manufactured according to the Technical Requirements TY 2455-006-70692152-2007 is intended for the paint and varnish, construction, agriculture, and veterinary industries. Along with the main substances – Dihydroquercetin extract and Arabinogalactan, Ametis JSC manufactures other Dahurian larch tree extracts such as larch oil and resin under the trade mark “Lavitol”. Ametis JSC has developed and markets two dietary supplements “Laviocard+” and “VitaLAG”, that feature Dahurian Larch-derived phytonutrient and feed for animals: “Ecostimul-1”, “Ecostimul-2”.